Phelan Merritt: Canon EOS 7D Digital SLR Camera Body + Canon 18-55mm IS Lens + Canon 75-300mm III Lens + Canon BG-E7 Battery Grip + 16GB Card + Cleaning Kit Reviews. Canon EOS 7D Digital SLR Camera Body + Canon 18-55mm IS Lens + Canon 75-300mm III Lens + Canon BG-E7 Battery Grip + 16GB Card + Cleaning Kit Reviews. 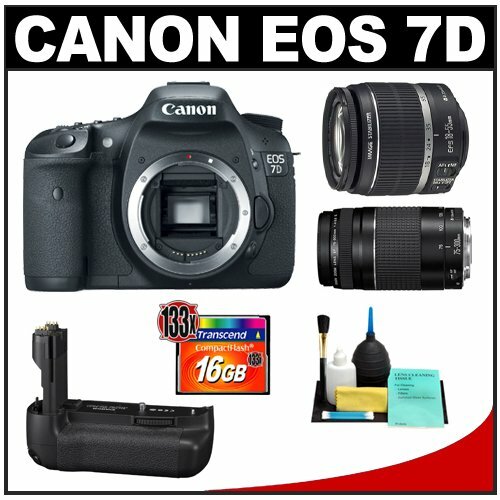 Canon EOS 7D Digital SLR Camera Body + Canon 18-55mm IS Lens + Canon 75-300mm III Lens + Canon BG-E7 Battery Grip + 16GB Card + Cleaning Kit Online Reviews.